← Oscar Wilde in Bow Street, 1895. Urban Myths no.3: The Discarded Artist’s Statement. 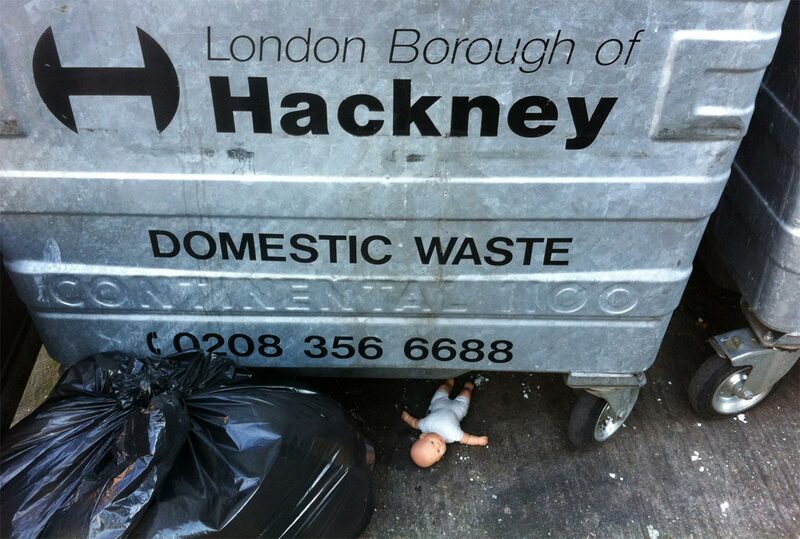 Posted: March 24, 2014 | Author: thelondoncolumn | Filed under: Amusements, Artistic London, Bohemian London, Transport, Vanishings | Tags: Cafe Oto, Camberwell Space, Dalston Hipsters, Peckham Hipsters, The Agency |Comments Off on Urban Myths no.3: The Discarded Artist’s Statement. * The above photo and the following text were found on the top deck of a 243 bus travelling through Dalston. The top of the A4 sheet was torn and the artist’s name was missing. I make images because I am driven to commit a feeling to something visual. My work is endowed with a narrative quality. Through a personally charged perception I explore a range of issues relating to the formlessness of both individual and social reality. This evolves from a close reading of discourse and neuroses surrounding the condition of human existence. I translate the incoherence of lived experience into elements accomplished by a distortion of what is known. The real thus becomes charged with imagined specificity. By describing the world as I imagine, perceive and exist within it, this element of personal mirroring may also act as a reflective process for the viewer. * A mash-up of genuine and imagined texts from London’s art community. See also: Supermarket Spider, Urban Caterpillars, Sugary Fun.